Since their discovery in the late 1970s, numerous hypotheses have tried to explain the grooves. Explanations include fracturing from the comparatively large Stickney impact crater (nine kilometers in diameter). Other ideas point to the close proximity of Mars and suggest that gravitational forces are tearing the moon apart. Still other ideas imagine marks left over from a process that may have captured Phobos as a passing asteroid, or perhaps debris hurled from the surface of Mars 6,000 kilometers away. 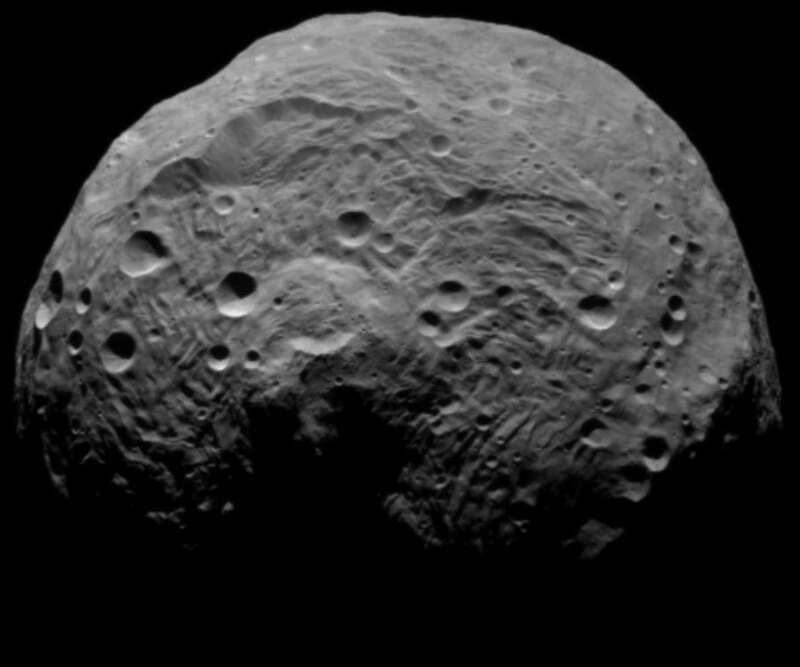 Including the idea of boulders rolling from Stickney Crater, after 40 years, every idea faces objections. Video 1: [https://youtu.be/t1XIcC4qfjs] Our computer model is introduced, and in this test we see boulders radiating from Stickney Crater. 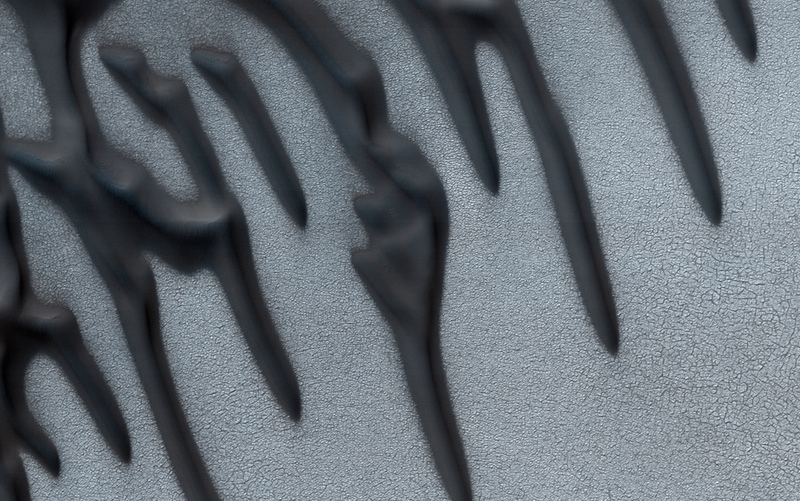 After circling Phobos, boulders pass tangentially to the east of Stickney in a parallel pattern. Based on this test, we see why grooves in the vicinity of Stickney might not radiate from the crater, and by traveling far enough to encounter previously-emplaced grooves, this also explains how grooves might crosscut other grooves. One objection to the idea of grooves from rolling boulders assumes that grooves would radiate from the source crater. To assess this and other objections, we model the orbital and rotational motions of Phobos and the gravity of Mars and Phobos. As seen in Video 1, parameters of motion and gravity alter the paths of rolling boulders. After traveling 360° around Phobos, boulders pass by Stickney in a pattern that does not radiate from the crater. In fact, most Stickney boulders travel more than half way around Phobos, and this accounts for a second objection: crosscutting grooves. In geology, we typically expect to see newer features placed atop older features – a.k.a., superposition. However, timescales need not be widely spaced, and in our testing model, we see Stickney boulders traveling dozens of kilometers around Phobos to where they cross the same regions from different directions at different times. 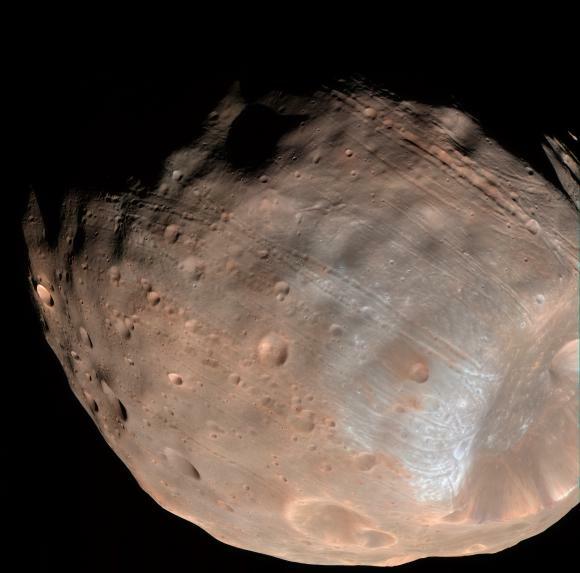 Video 2: [https://youtu.be/99e_-MXNMSU] Taking flight like a ski-jumper, a test boulder skips past the ‘zone of avoidance’ – showing why this region of Phobos is devoid of grooves. Continuing to observe this test boulder, after traveling 360° around Phobos, the boulder passes through Stickney Crater, showing how Stickney could have produced grooves that subsequently appear inside Stickney. One region of Phobos has no grooves. If boulders rolled across Phobos, why not here? As we see in Video 2, a test boulder rolls downhill from Stickney Crater, reaches the edge of a persistent reduction in topographical elevation (the groove-free region), and drifts into ballistic flight. Also shown in the video, continuing the theme of geological superposition, the same boulder travels across the floor of Stickney, thereby resolving another objection: the presence of grooves inside Stickney. Where key objections are explained by our computer model, Stickney boulders appear to offer a plausible explanation for the grooves of Phobos.